Creativity Within : Hero Arts Season of Wonder blog hop and giveaway! Hero Arts Season of Wonder blog hop and giveaway! Happy Wednesday! I know I keep falling off the face of the earth. Rest assured, I am still here and kicking. Crafting and running are keeping me sane from the insanity of daily life: work and kids! Anyway, today the Season of Wonder Hero Arts winter release is live and available for purchase. So we are celebrating it with a hop. And I have few cards for you today. I have few cards featuring different products for you today. 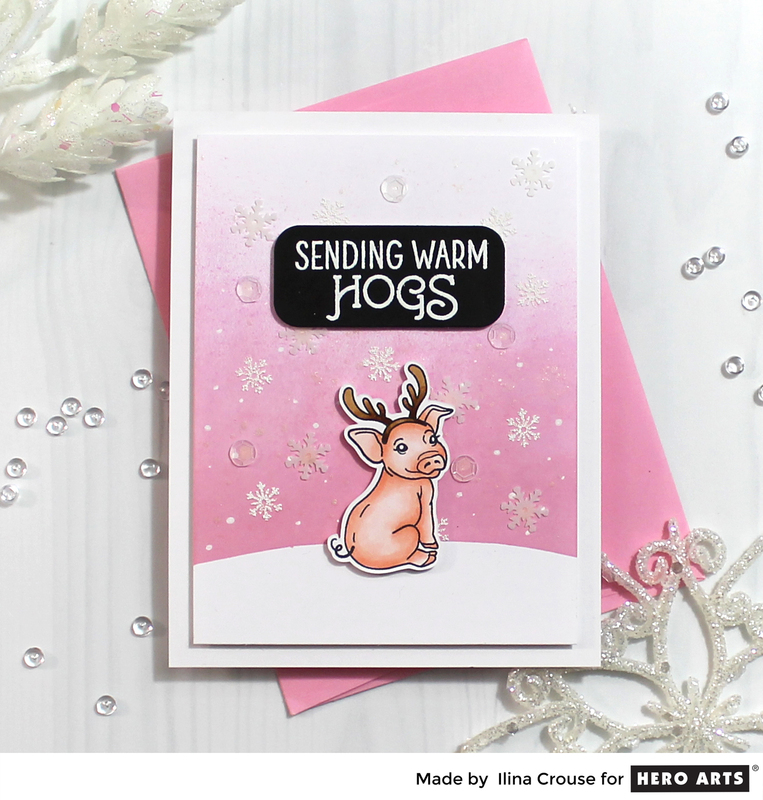 For my first card I am featuring the Sending Warm Hogs stamp set and dies. I stamped my image, colored with copics and die cut. The sentiment was stamped on black layering paper, embossed and die cut using the rounded rectangle infinity dies. For my background I did some ink blending using Cotton Candy ink and then stamped bunch of snowflakes and embossed with white puff embossing powder. Next, I have a card featuring the new Woodgrain cover die. Love at first site. I die cut my panel and splattered with some diluted gold metallic ink. I stamped the sentiment from Winter Holiday Messaged and embossed in gold. Die cut using the new Fancy Ornament Infinity dies and assembled the card. Next, I have the color layering pomegranates set. I didn't use the layering pieces, but instead only the outline stamps and colored my images using Copic markers. Die cut them and assembled my card. 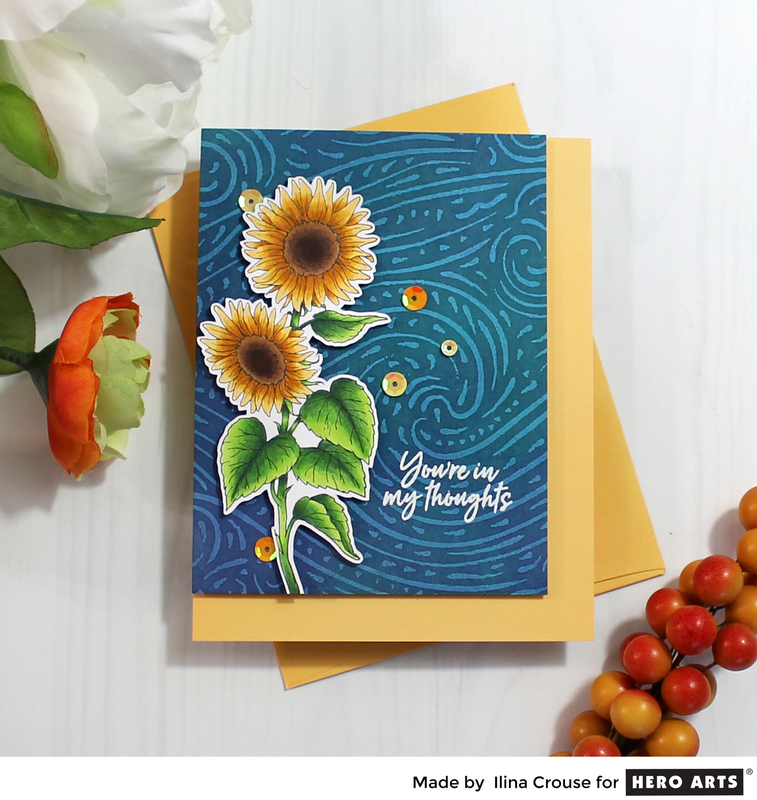 Then I have a card featuring the AH-MAZING Sunflower stem single wood mount stamp. I stamped and colored with copic, fussy cut it, created my background and assembled the card. Last but not the least, I have the amazing color layering owl. I decided to do an ink blended background for this card and used: Rose Madder, Orchid and Grape Juice inks to create the background, along with Soft Vanilla and Soft Yellow for the moon. Ilina Crouse - That's ME! I always love visiting your blog...so much inspiration! Love all your projects! WOW, stunning cards. That woodgrain one though...jaw dropping! Such a fabulous collection of cards!! Love your cards! The piggy is adorable and I love your gorgeous sunflower. Pomegranate trees are grown here in AZ. The colors of the pomegranate when opened are spectacular. I am thrilled to have a stamp that features them. AWESOME creations! I especially love the owl card and the sweet pomegranets! Wow, I love the cards. But that little pig was just too cute! Love all your colors too. Thank you for sharing. What a great variety of cards using the wonderful new products! Love your creativity. Fantastic inspiration. Love the pomegranate card and the pig is so cute. Thanks for sharing. From soft and pretty to beautiful and intense! Love every one of them! But I have to say my favorite is the hog! Lots of oohs and ahhhs on this post! That piggy is so cute, and I really love that background. I'm really loving those sunflowers, too! Love these cards. So creative and fun. The Woodgrain Cover Die and Winter Holiday Message card are so very elegant. Love this look. Love the pigs and the pomegranates. All of your cards are gorgeous, but I am crazy about that bog, beautiful owl! Love the colors and the classy design! Oh My Goodness... fabulous projects. Adore that little holiday hog, so cute. Love all the stamps and dies in the holiday release. Thanks for the great inspiration and ideas. WOW, I love the cute to the gorgeous. I wanted so many things from the new release and here I go wanting more. Your cards are so amazing! Love the owl. Ilina, I think your first card with the pink pig on it is so very sweet. Your second card has an understated elegance to it. The card with the owl is fab also. I'd so love to have the layering Owl stamps & dies. There is so much in this catalogue! Such a nice collection of cards, I love them all! oink! That pink piggie is SO cute! A divine swine, you might say. ;) Excellent cards. Beautiful cards, love the pig, it's a must have I believe. Love this release! Thanks for the inspiration! delightful cards - love the cute hog!! Love your cards, always helps me think of new ways to make cards. 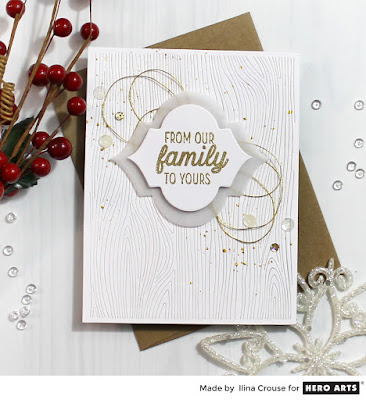 I like the simplicity of the woodgrain family card! I loved all your cards, but that little pig is just too cute. Thanks for sharing. All of your cards are very creative. A little bit of everything- love it! Great job. Great selection of cards!!!! TFS! Your cards are beautiful ! Your little piggy is so cute and I love the card with the owl, it's so elegant, really fantastic. Wonderful cards. This is an exciting release. Love that piggy. Lovely cards. Thanks for showing so many different techniques. That pig gets me every time! Beautiful cards - love the pig card! the little piggie is just amazing cute! Wow!! What an array of amazing cards!! The little hog is just adorable and made me giggle. You picked the perfect colors to complement it. The fig card is just GORGEOUS with the colors you chose and the coloring! Thanks for the warm hogs! Nicely made cards. Great cards! I really love the "family" one! Just a great design! Sweet cards! Silly pig, great owl! Love the release! What an adorable piggy! 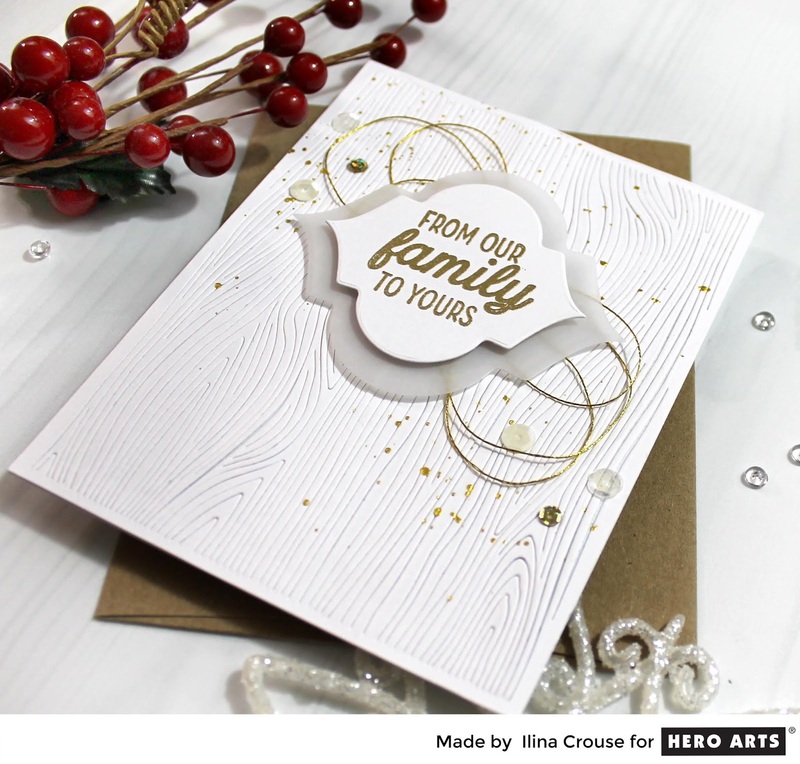 Love it & the simplicity of your woodgrain Christmas card really speaks to me! So many gorgeous cards! Love that sweet little pig card...so fun and non-traditional! Truly inspirational cards.. You made some very attractive cards. Love the colors. 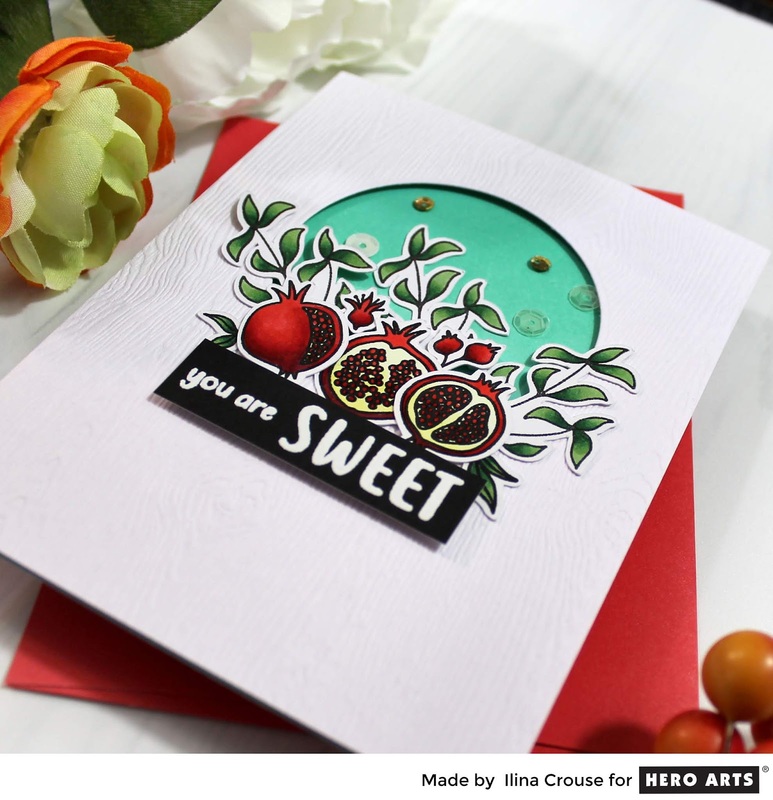 Hello Ilina, you designed a beautiful collection of cards. I love the little piggy design! These are just too adorable! Cannot wait play with these new goodies! Elegant, cute, spooky...you've got 'em all. That pig is too cute! :) Great cards! What an amazing variety of goodness. That is the cutest little pigdeer I have ever seen. cute, elegant, eerie, and lovely - all wonderful cards, Ilina! Thank you for showing off all these pretty new stamps. Your cards are all so beautiful and unique. WOW! Your cards are all so different and all so wonderful! OOOH...Love that owl Halloween card!!! A great new release. Stunning cards. Love the owl card and that background die cut is amazing. Thank you for the inspiration! Just lovely cards. All these cards are so beautiful. It’s hard to pick a favorite. The pigs are hilarious. That owl card is stunning. You are an artist. Pig cards seem to be big this year. Thanks for making one. All of your card examples are fabulous and you have inspired me to get started making some of my own. Thanks. Love that background on your Halloween card. I love all the little creatures and the cards you made with them. Very creative!! 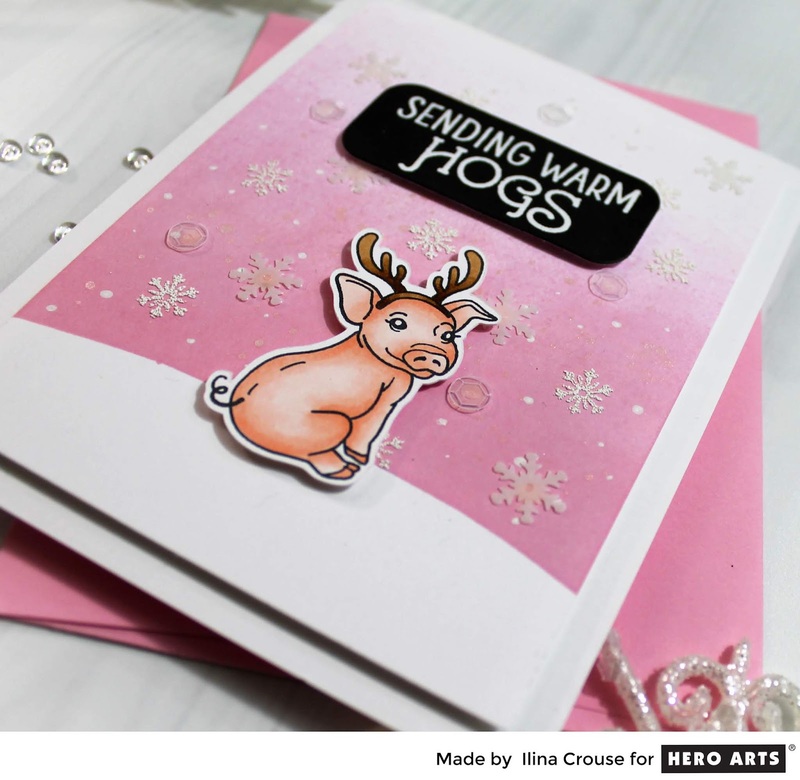 Love you little hog card, pretty in pink! Wow! All of your cards are wonderful, especially the owl but I'm just loving the little piggies in this release. TFS! So, first I was smitten with that sweet little hog! Then, I was awed by the owl---and the background you did is fab!!! All of your cards are beautiful, but those 2 just jumped off the page at me and I had to do a double take! Have a wonderful day. Beautiful cards. I love the owl! Your blog is one I stop by to visit on a hop because it's full of ideas! Absolutely love the sunflower card!! Every one of your cards is fun and unique, but I think the owl card in incredible! The coloring on the owl is great and the background really sets the entire image off perfectly. OH MY GOODNESS!!!! That reindeer pig is so stinkin' cute!!!! Mt husband used to raise pigs so this one I must have!!!!!! Fabulous cards and ideas. Thanks for sharing. Your cards are cute and clever, great job! Such a great variety of cards!! The pig is so stinking cute. Like the look of the Owl. We have a Barn Owl that comes in the evngs. Have seen it perched on our fence & even seen it swoop & pick up a mouse/rat from yard. Such pretty cards, thanks for sharing! 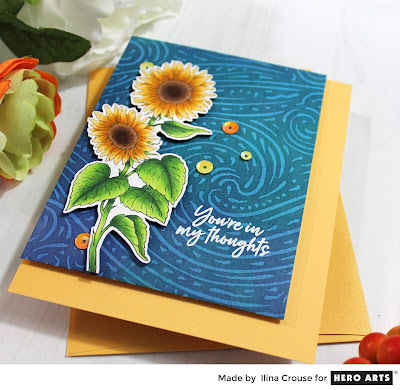 Illana, what stunning cards. Each one was more wonderful than the previous. I'll be coming back again to go over all the details. The owl and the sunflower were simply awesome. Thanks for sharing your beautiful talents. That is such an adorably pink pig and the creation is inspiring. 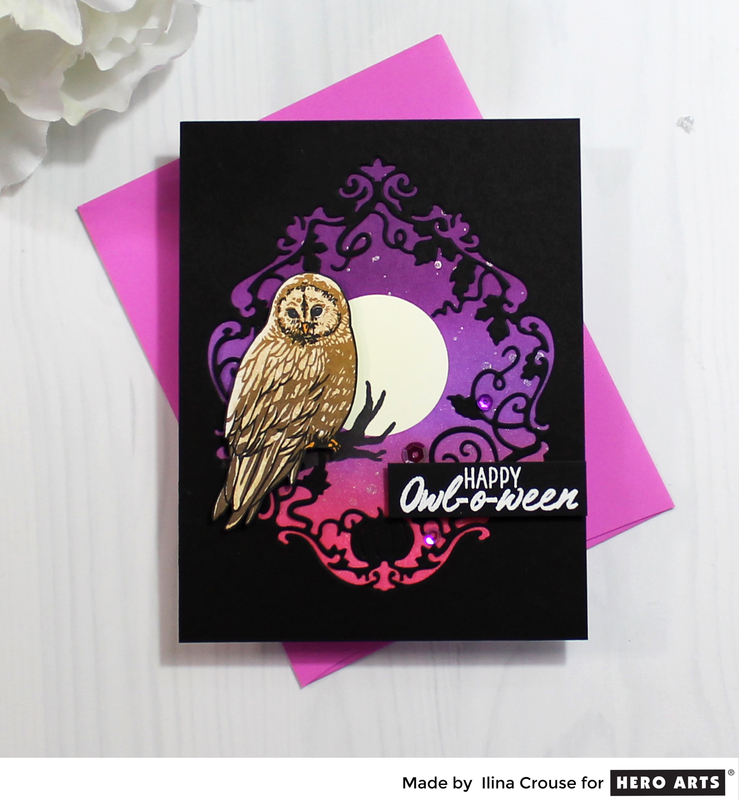 Your cards are all so creative but my favorites are the 2nd one (the white one) and the Owl-o-ween one - fantastic! Fantastic cards! That sending warm hogs card is the cutest! Awesome cards! I love your woodgrain card, very elegant and pretty. I think the Woodgrain cover die is my favorite (die at least) item from this release. So much to love, so little time to play with it all lol. WOW ! Amazing set of cards, you have fabulous backgrounds on all these cards & your colour combination is fantastic on each one, adoring the owl card, I would frame that.So much thanks to you for all these. Great cards and my favorite is the sunflower. So looking forward to Fall! I'm loving all of your cards! LOVE that hootie owl and the black! Eye stopping beautiful! Thank you for sharing! Lovely cards--that pig is so darn cute! Love your non-traditional christmas HOG card! Sow Cute! I love the wood grain card, the splashes of gold on it are perfect! And the background on the sunflower card is mesmerizing! All of your cards are just gorgeous but my fave has to be the sunflower with that stunning background. Just awesome! Oh so beautiful! Love all your creations! I've only been crafting a couple years and try to send cards every week to whoever I feel needs a pick-me-up. Thank you for the inspiration & chance to win! Great cards! It's hard to pick a favorite, but I'll have to go with the Halloween card. I love the blending. Second favorite is the sunflower. Thank you for sharing! The owl card is stunning. I may have to buy that stamp!! Amazing collection of cards! Fun, elegant and sweet. Lovely clean designs and so beautifully executed. Thanks for sharing so many terrific cards. Nice preview of lots of items from the release. Amazing cards! I love the Halloween card! The background is beautiful! That second card is so elegant! I am in love with that beautiful owl and your gorgeous background for her! Also love the sunflower... a prefect tribute to Vincent! 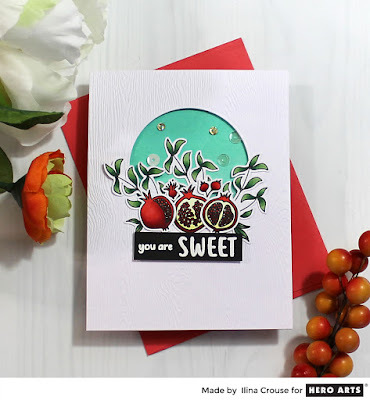 Who knew a pomegranate stamp would appear on my wish list? Awesome cards! 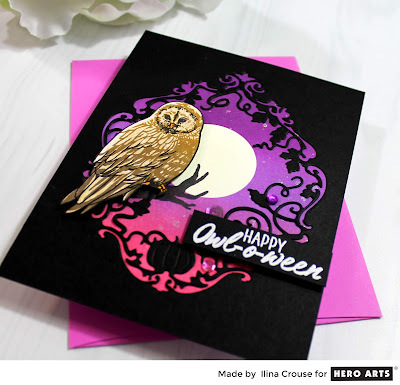 I love the beautiful owl card for owl-o-ween! Your piggy makes my heart melt! Beautiful cards. So many great cards. 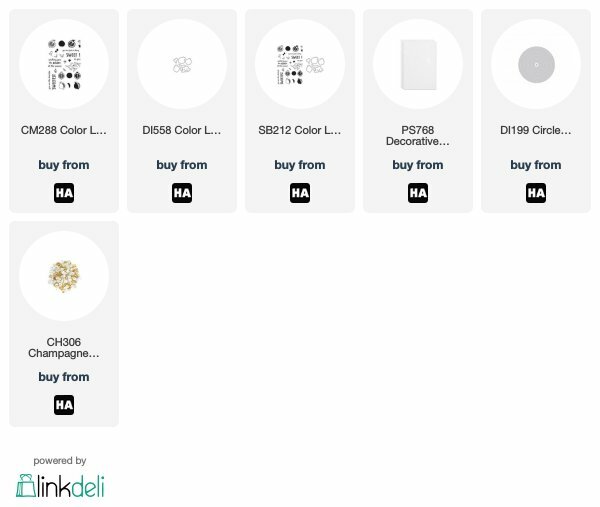 You've used a wide variety of products from the new release and shown so many great ways to use them. My favorite is the sunflower card! The new stamp looks wonderful against the starry night background!! Love this gorgeous range of cards. The owl is spectacular. Thanks for the inspiration. Really great showcase of cards for the holiday release. Can't choose which is my fave. MISTI and Cracker Box blog hop and Giveaway!